Many business managers still hesitate to unleash the power of concepts like Lean Start-up, design thinking, and Agile software development within their organizations. 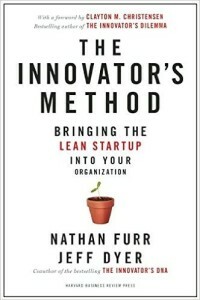 Innovation experts Nathan Furr and Jeff Dyer decided to give them a push and wrote a hands-on book: The Innovator’s Method: Bringing the Lean Start-up into Your Organization. As academics, Nathan Furr and Jeff Dyer has studied the inner workings of both corporations and start-ups and analyzed the factors which make the difference between success and failure. They both observed that big companies often need better tools to manage innovation, while start-ups generally have access to such tools. A couple of year ago, Jeff Dyer was a co-author of a highly popular book which provides a framework for generating ideas: The Innovator’s DNA. In the current book – which can be considered a follow-up – Nathan Furr and Jeff Dyer demonstrate how to proceed to turn those ideas into reality through a successful commercialization process. The Innovator’s Method, developed on the basis on their research, is an end-to-end process for creating, refining, and bringing ideas to market for both startups and established companies. Lean Magazine got in touch with Nathan Furr for some email questions. Hi Nathan! How did you and Jeff Dyer get the idea for your book and why did you select Lean Start-up as the model for innovation within companies? Firstly, as uncertainty has increased around us over the last few decades, we studied several new frameworks that have emerged to help people innovate. These frameworks – such as design thinking, Lean Start-up, Agile, and business model innovation – each provide crucial insights into the innovation process. However, no single framework covers the entire innovation process. So in The Innovator’s Method we synthesize the best insights from these frameworks to provide a full view of the innovation process. Secondly, we studied the world’s most innovative companies to understand how they apply these tools and provide insights into how leaders and managers can apply them to improve their company’s ability to innovate. Could you give a short summary of the method in your book? 3) Use radically cheap and rapid prototypes to validate that need. 4) Iterate, or innovate, on the existing business model. What would be the main difference if one tries to implement the method described in the book in a larger, more traditional company? The tools can absolutely be used by large corporations, and are also being used in this way. The main difference, or change that needs to occur to apply them, is in the leadership and culture of the organization. We describe this change in the book as a shift from seeing yourself as the chief decision maker to seeing yourself as the chief experimenter. Which parts of Lean and Agile methodology do you think are the most beneficial here? 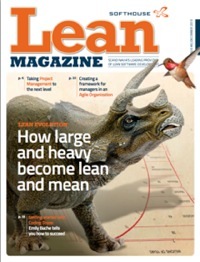 I think the concept of de-scoping and minimum viable product, or really decreasing the scope of what you are trying to do and doing it as quickly as possible, is the most powerful contribution of Lean. 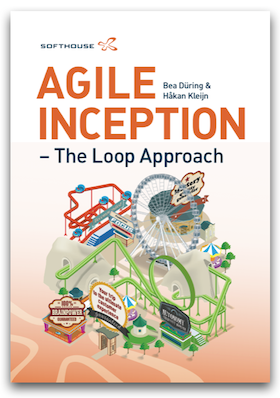 I think the idea of learning sprints is the real contribution of Agile. But it is important to understand that these frameworks are not panaceas. The whole point of The Innovator’s Method was to recognize that these frameworks are each “one blind man feeling one part of the elephant”, as the proverb goes. That means that one framework isn’t the solution. Rather, it is the synthesis, as we described in the Innovator’s Method. Over and over, I watch companies adopt design thinking or Lean Start-up and then later complement it with the other frameworks we describe in the book, along with the organizational adaptations we describe. Which departments, besides R&D, do you think are most important to engage? You should involve anyone who might slow down the process, and involve them early. So for example, you likely need to have conversations with legal and procurement where you speak about the objective (e.g. “we are trying to speed up our innovation process so we can remain competitive”) and discuss how you can achieve it together. In a big company, it’s the decision processes that protect us during execution mode which slow us down during innovation mode. In the future, do you think that all companies will apply methods like yours? Do you see any trends? In my view, technology has increased the degree of uncertainty past a tipping point such that we now face a difference in kind, rather than difference in degree. I think we will develop more tools, frameworks, and theories to manage this kind of uncertainty in the future. To me tools like Lean and Agile are just byproducts of the quest to manage this uncertainty. 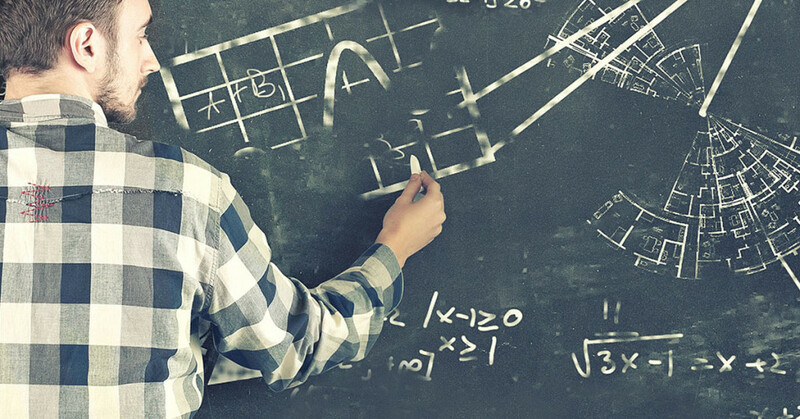 Although they are useful frameworks, they aren’t panaceas and they aren’t our final answer. We will spend the next century developing even better approaches to manage uncertainty because uncertainty is also an opportunity.